On August 23, 2012, a client of LEWIS & DICKSTEIN, P.L.L.C, was thrilled to accept an offer from a Southeastern, Michigan prosecutor to reduce a charge of Operating While Intoxicated (OWI) to careless driving. The alleged “intoxicant” in the case was marijuana and not alcohol. We could tell you what jurisdiction but that would be a violation of our plea agreement. To say that such reductions are rare would be an understatement; however, we have been able to obtain reduced pleas in many of these cases. Prosecutors and city attorneys had reducing OWI cases to non-alcohol related offenses and many judges will only begrudgingly accept these deals. Why can’t we tell you what prosecutor gave the deal? Because they do not want the word to get out that such a reduction was authorized. It was a condition of the plea that we not tell anyone about the deal. How did we get the reduction in charge? Tenacious, aggressive representation. The facts of the case were that our client was pulled over for suspicion of OWI. He was driving and observed to be weaving “within his lane of traffic.” According to the officer, his wheels touched the lane marker for about 10 seconds. The officer pulled behind our client and then observed him change several lanes of traffic, using his turn signal but “failing to pause and check traffic while moving from each lane.” Finally, the officer claimed that our client made a turn that appeared to him to be an attempt to be evasive.The partners with LEWIS & DICKSTEIN, P.L.L.C. filed a Motion to Suppress arguing that the stop was illegal. 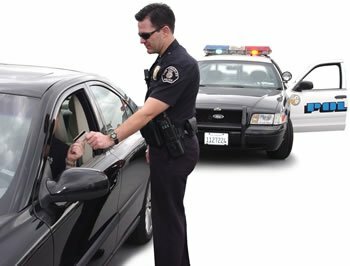 An officer must have reasonable, articulable suspicion that there is a violation of the law before a traffic stop (considered a seizure under the Fourth Amendment to the United States Constitution). Not many Michigan drunk driving attorneys would have taken the time to prepare such a motion or would have been skilled enough to argue it successfully in court. The prosecutor originally argued that changing multiple lanes without pausing within each lane was a civil infraction called: Improper Lane Usage. After a careful analysis of the law we provided, he had no other alternative but to concede that there was no cognizable civil infraction. His next strategy was to argue under two Michigan cases (only one published), that the totality of the circumstances could justify a stop even if there is no civil infraction.In the end and moments prior to the commencement of the suppression hearing, the prosecutor offered the deal that our client had requested. A plea to careless was placed on the record and our client was thrilled! By the way, this particular prosecutor is a great guy. Honest to a fault and a man of integrity. He is always a resolute and effective advocate for his jurisdiction. In 99 out of 100 cases, this particular client would have been convicted as charged if he had been represented by many other Michigan drunk driving attorney who handles drunk driving type cases. Most lawyers are afraid or don’t have the background to fight a complex 4th Amendment issue. At LEWIS & DICKSTEIN, P.L.L.C., we pride ourselves on never giving up and doing everything that is possible to either beat a case, achieve an extraordinary reduction in charges, or an extremely lenient sentence. Every case cannot be won but there is no case that we are unwilling to fight. We are not afraid to win. Call us for a free consultation at (248) 263-6800 or complete a Request for Assistance Form and a seriously experienced OWI attorney will promptly contact you.